Nobody knows your Honda better than us. Our techs are Honda Certified. We have the specials tools & equipment to get the job done! 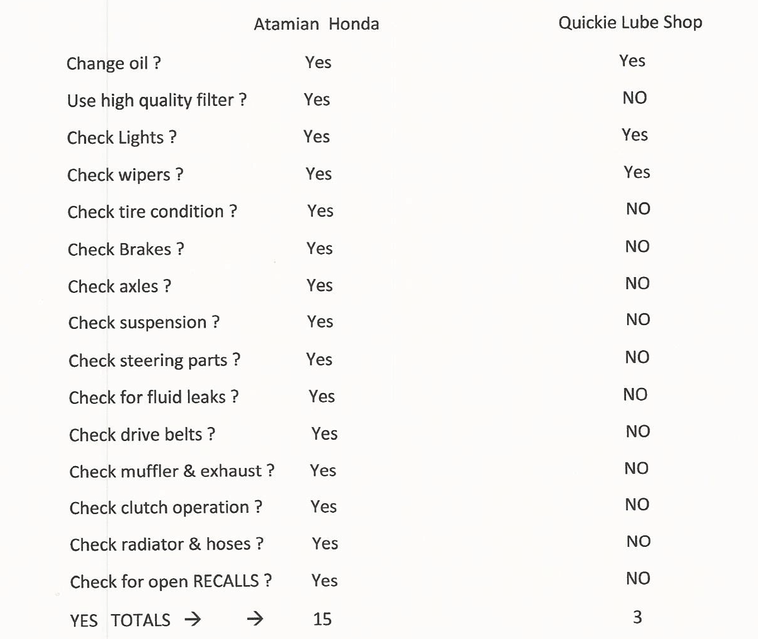 We check Items (saftey items) that the “Quick Lube” Shops don’t! How Thorough are those “Quick Lube” Shops? So is the “Quick Lube Shop” a good value? They don’t check saftey related items and you drive away thinking that everything is okay and safe, when in fact they have not been checked at all. 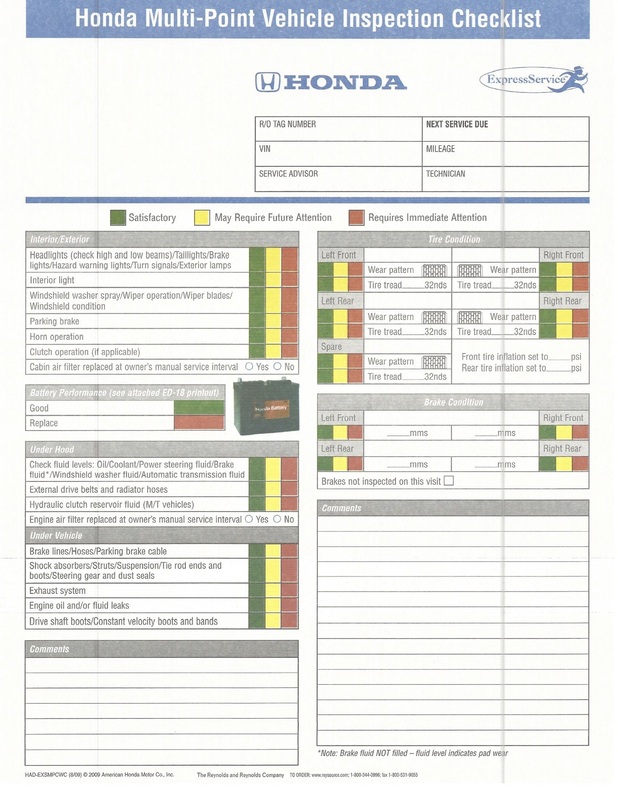 We offer you the best value in having a Factory Trained Honda Technician examine and work on your car.